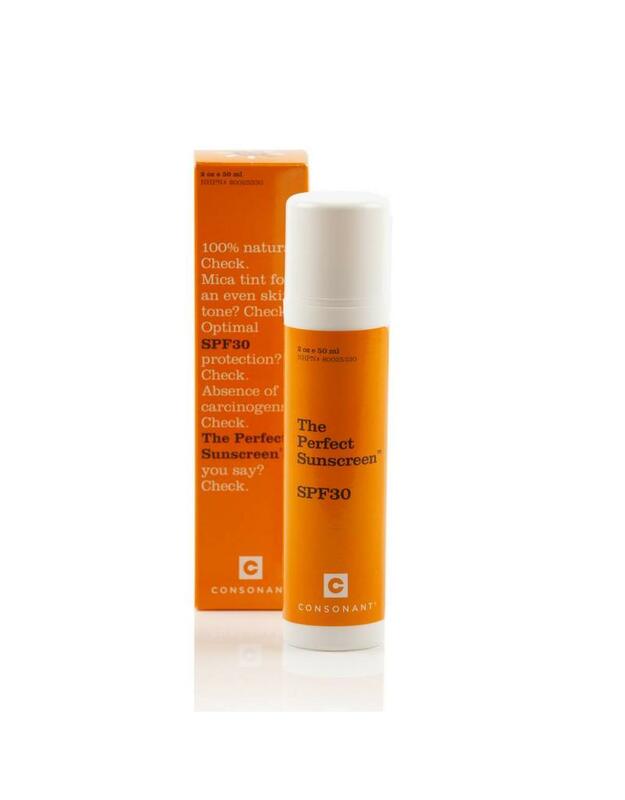 The Perfect Sunscreen is unlike other 100% natural sunscreens as it is a smooth, non-greasy formula that leaves no white residue. 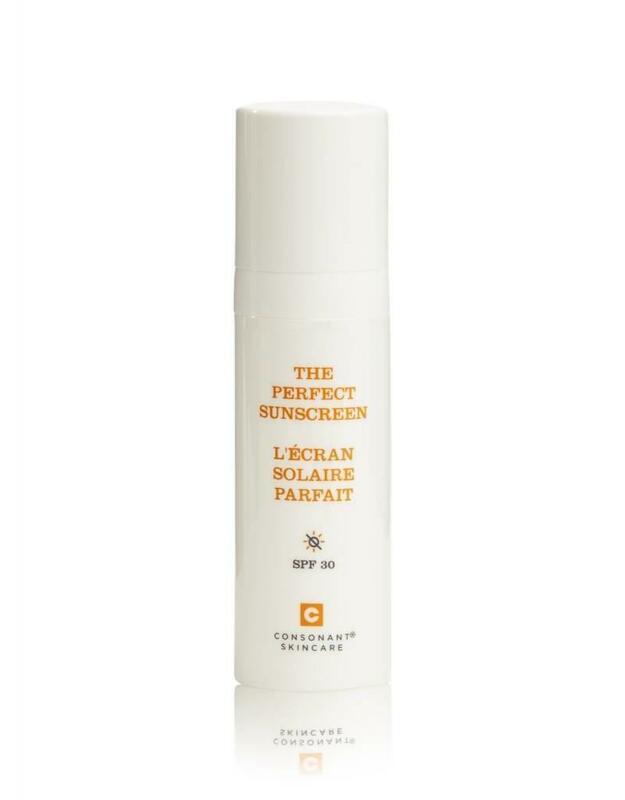 It delivers optimal SPF 30 protection using uniquely micronized (non-nano particle) Zinc Oxide and Titanium Dioxide minerals to block the sun’s damaging UVA and UVB rays. Aloe vera, grape seed and rice bran oil hydrate and even skin tone while a touch of natural mica tint helps to prevent whitening. Like all Consonant Skincare products, this product is fragrance free. 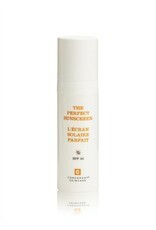 The Perfect Sunscreen is water resistant, but we recommend re-applying after swimming or doing water sports. 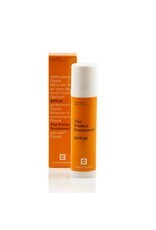 Active Ingredients:Titanium Dioxide 6%; Zinc Oxide 10%. Ingredients: Reverse Osmosis Water, Aloe Barbadensis Leaf Juice, Vitis Vinifera Seed Oil, Oryza Sativa Bran Oil, Glycerin, Cetearyl Olivate, Sorbitan Olivate, Isoamyl Laurate, Olea Europaea, Ginkgo Biloba, Calendulla Officinalis, Hippophae Rhamnoides, Curcuma Longa, Cetearyl Alcohol, Glucose, Lactoperoxidase and Glucose Oxidase, Hippophae Rhamnoides Oil, Xanthan Gum, Mauritia Flexuosa Oil, Golden Bronze Mica Powder, Yellow Iron Oxide, Potassium Sorbate, Tapioca Starch, Red Iron Oxide, Black Iron Oxide.